Sedona Real Estate has seen many changes over the years. One constant has been Rob Schabatka – a Top Sedona Agent and current owner of RE/MAX Sedona. Living in and around the Sedona area since 1979, Rob and his wife Pam have formed a formidable duo. Having raised a family that is proud to call Sedona home, he can help you find your next real estate investment. In his previous career as a General Contractor, Rob was able to shape the local real estate landscape by building custom homes. In 2001 Rob decided to hang up the tool belt and focus on selling and investing in Sedona real estate full time. Shortly thereafter, Rob and Pam became owners of the local real estate franchise – RE/MAX Sedona. 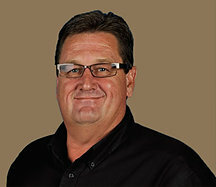 Past clients will be the first to tell you – Rob has a unique approach for those buying Sedona Property. In lieu of trying to convince you that a home is right for you, he approaches the relationship as a patient educator. By showing clients what home values are and what they have been, Rob is able to arm buyers and sellers with the information necessary to make wise investment decisions. Once his clients have that level of comfort and expertise, Rob is able to best represent their interests by using his strong negotiating skills. Click Here for feedback from past clients. When Rob is not focusing on finding his clients great values or maximizing their profits on their last piece of Sedona Property, he enjoys sports, travelling, eating at good restaurants and finding a good deal. He also enjoys spending time with his family and doting over his biggest fan – his only grandchild. For more information about Rob, or to start your search today – click for current Sedona Real Estate listings.